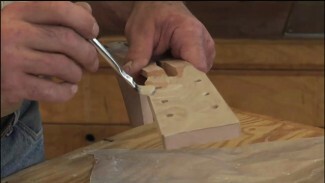 George Vondriska teaches you how to glue together multiple pieces of leg stock in order to create blanks that are the proper thickness required for your specific woodworking project. He walks you step-by-step through the entire process, demonstrating each of the tips and techniques you’ll need, including painting the glue onto the stock and properly aligning each piece in woodworking clamps. 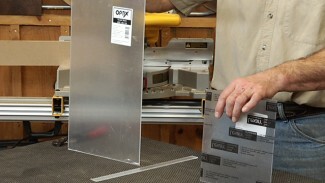 Can you cut biscuit joints on the router table you use for your woodworking projects? Sure, but you’ll need to know the steps to get the fit right. 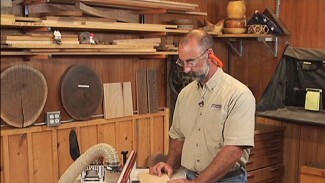 Our master woodworker George Vondriska explains the setup of the router as a biscuit joiner and shows you how to make the cuts. 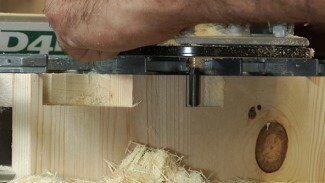 Router bit tearout is a nasty problem when you’re cutting dovetails. So master woodworker George Vondriska shows you how to avoid this devastating problem when completing your woodworking projects by using a technique on a dovetail jig called climb cutting.